Boats vs. RVs – Live MoHo! The Great Loop is the world’s longest inland waterway. 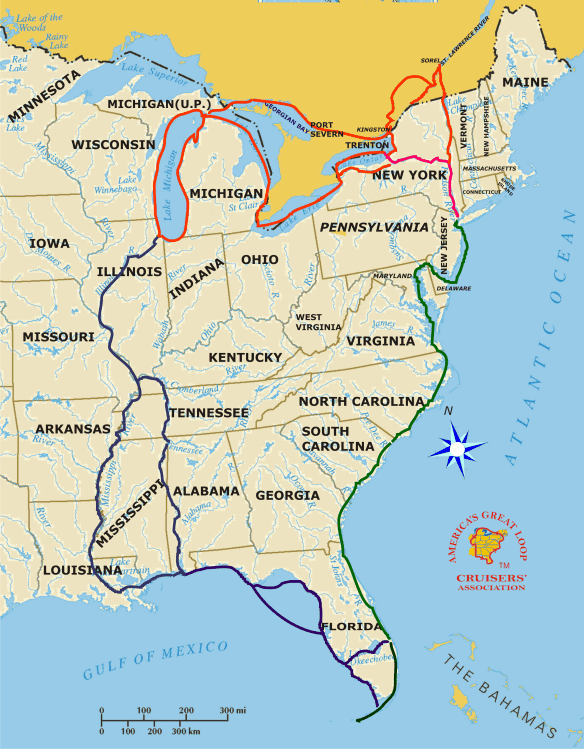 It has several permutations but the basic outline is the eastern US along the Intracoastal Waterway up to the Erie Canal, over to the Great Lakes, then down the Mississippi and Missouri rivers to the Gulf of Mexico. The Great Loop really seemed like a cool adventure. Many of America’s early towns (now major cities) were established along waterways. Back in the days before paved roads and automobiles, waterways were often the only reliable travel routes, particularly for cargo and commerce. Seeing these cities from the water seemed like a very unique experience. There is even an organization dedicated to “loopers.” It is called The Great Loop Cruiser’s Association. The more I read about the Great Loop, the more excited I became. I even bought a big poster of the Loop so I could stare at the route from home! One little detail though – I had zero boating experience. After years of dreaming about my Great Loop trip, I began to realize that learning something about boating might be a good idea! 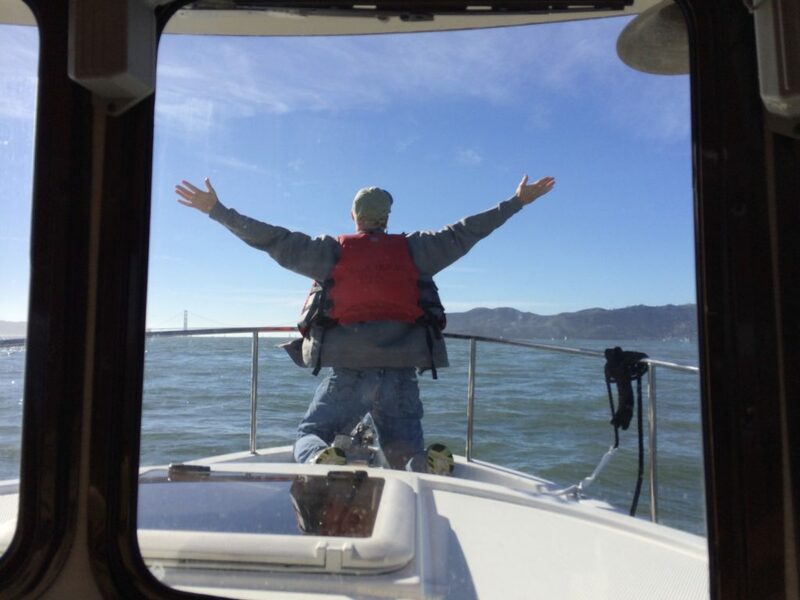 1.Learn how to captain a boat in the San Francisco bay. 2. 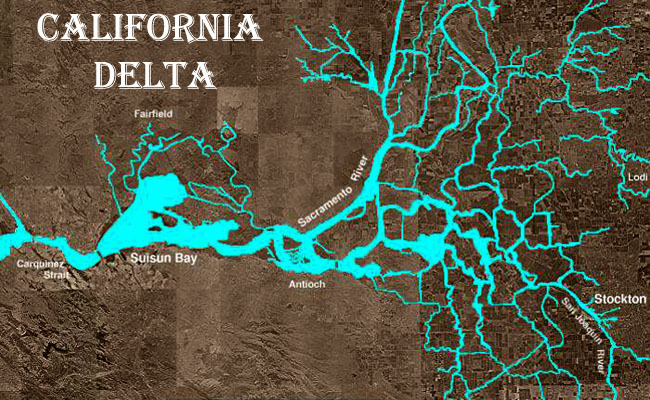 If I enjoyed the experience, I would get a boat and begin exploring the 1,100 miles of Delta in the San Francisco/San Joaquin system. We could keep the boat at the Sacramento Marina and explore the entire area. Just the area called the “Sacramento” delta is huge! 3. If we enjoyed the Sacramento delta, it would be time to get serious about the Great Loop. As an added bonus, I reasoned that by this time I would know something about navigating inland waterways. 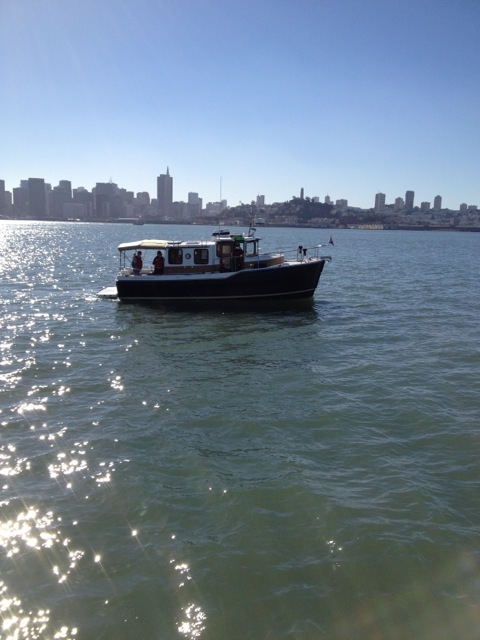 In 2013 Heather and I took a boating class in the San Francisco bay so we could start step 1. 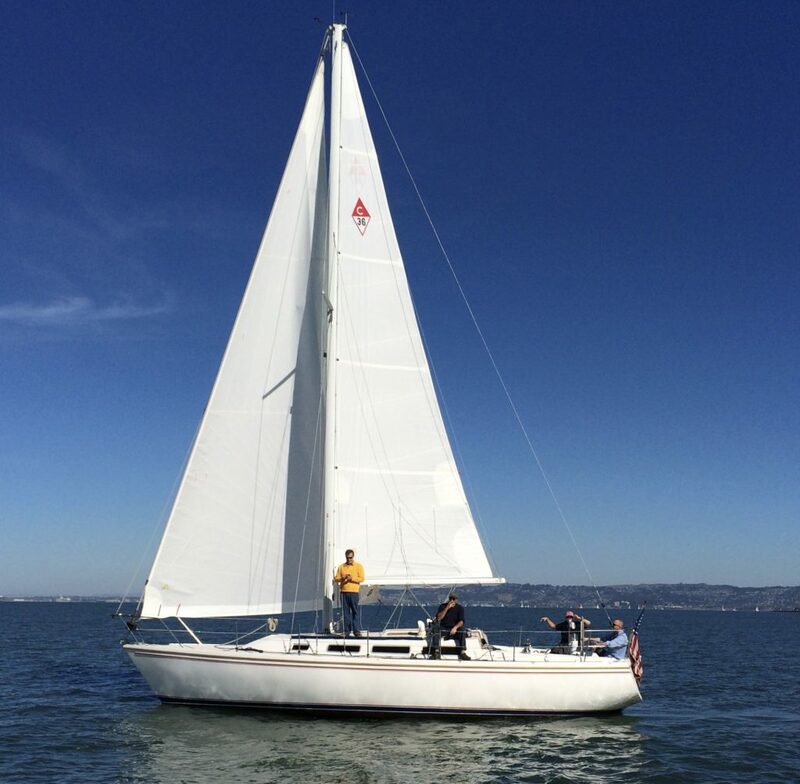 The San Francisco bay is both a perfect and a terrible place to learn boating skills. It is perfect because it combines beautiful scenery, open water, easy access to marinas, and ample instructors. 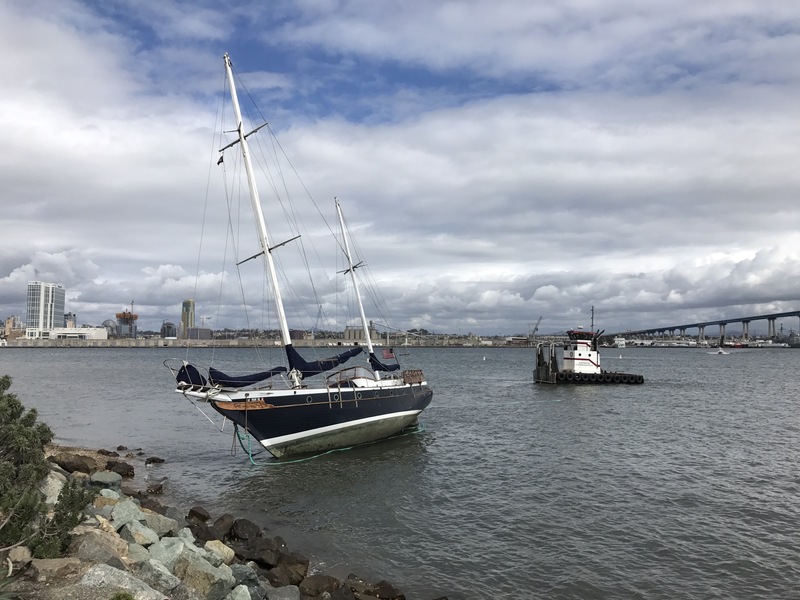 It also has currents, rough water, unpredictable currents, shallows and sandbars, military traffic, all manner of commercial traffic, tons of weekend sailors, and strong winds. It is a terrible place for all those same reasons. They say if you can learn in San Francisco bay, you are well prepared for anywhere. Commercial traffic is heavy. Our marina was in Alameda, near the Bay Bridge. We learned basic boating skills and dodged large ships at the same time! 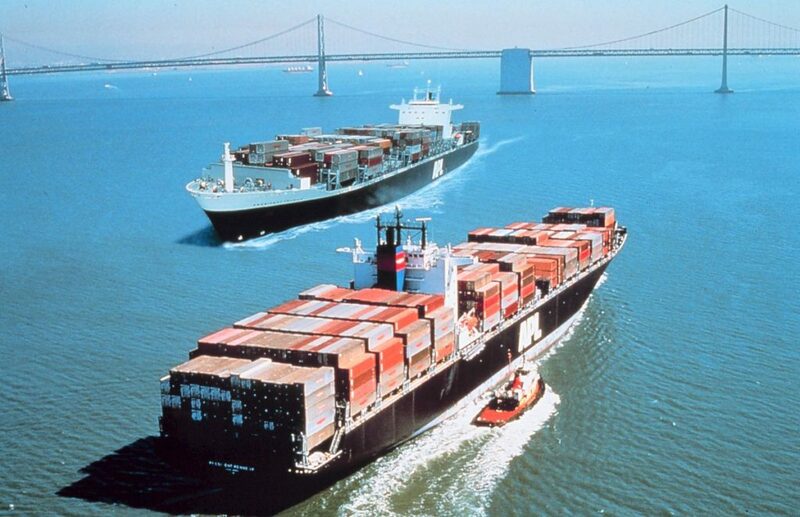 As we did man-0verboard drills, we watched the cargo ships move with the shifting tides. 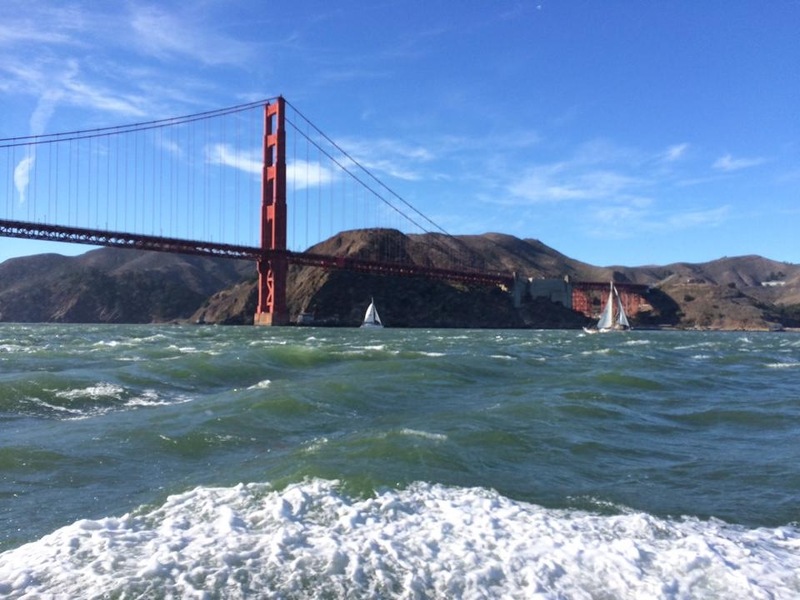 We learned about rough water (hint – its always rough in parts of the Bay). We always watched our depth. 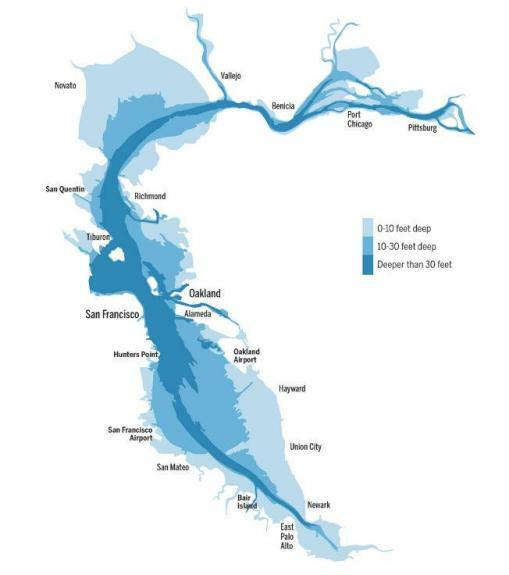 In spite of its size, the average depth of the Bay is under 6 feet. Or 14 feet. Depends on who you ask. But shallow. And easy to suddenly run aground. Essentially, the bay has a canyon at its heart. When the boat is over the canyon itself, depths can be significant – over 300 feet deep under the Golden Gate. But reach the edge of the canyon and the depth can change from 150 feet to 10 feet almost instantly. This not only makes for some interesting navigation, it makes for some VERY weird waves. We successfully completed the class without accident or injury! 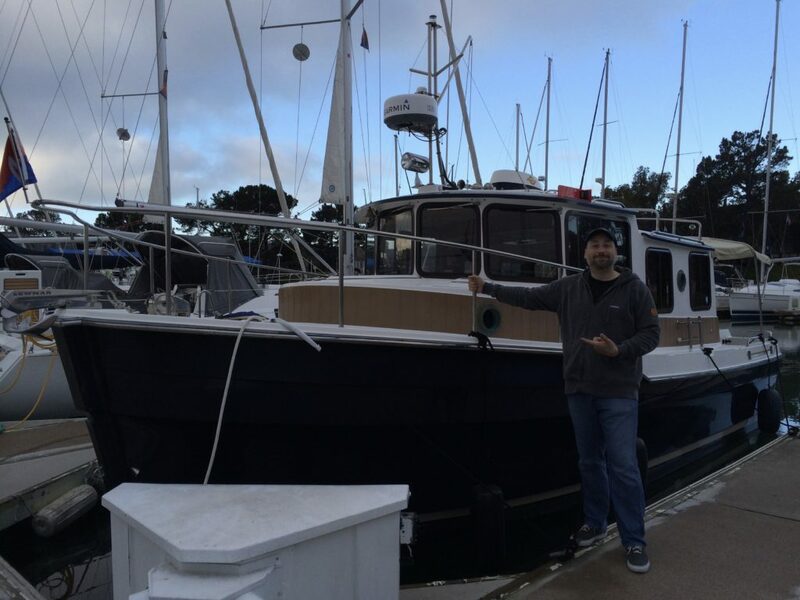 We chartered a boat a few weeks later and went out into the Bay all on our own. 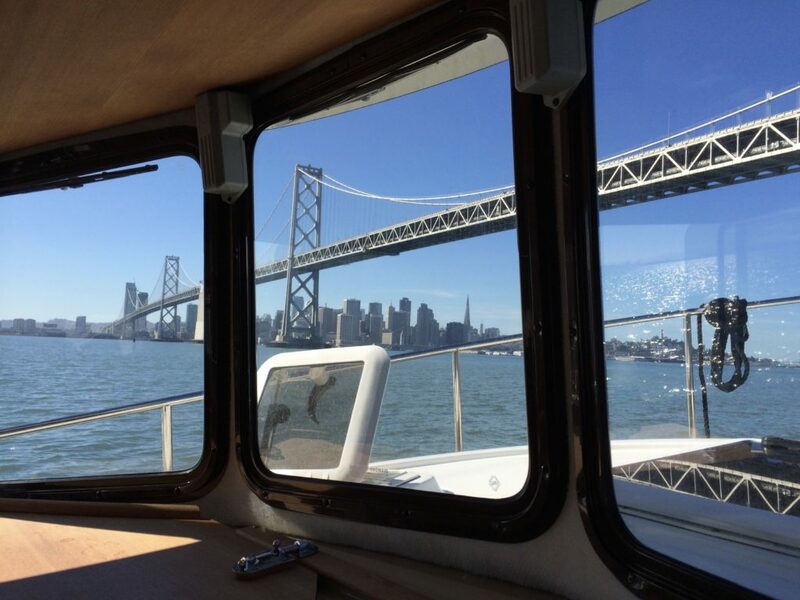 It was a lot of fun – we headed out from Alameda under the Bay Bridge. Weather was beautiful and the Bay was fairly calm. A small craft advisory developed later that day, and we went straight out into the teeth of the waves near the Golden Gate. Our friends Jeffrey and Beth Huffman were with us. Jeffrey couldn’t resist recreating a scene from another famous boating movie. I just hoped our voyage wouldn’t end like the people in that movie. There was an onshore breeze coming in from the ocean through the Golden Gate. 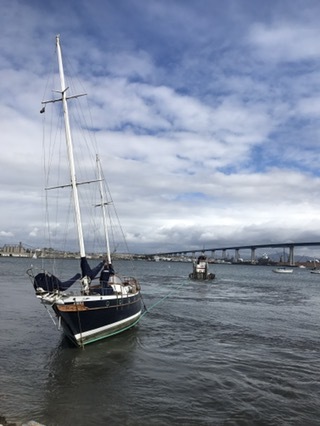 An area boaters and meteorologists call “the slot.” The tide was going out under the Golden Gate, so the incoming wind was pushing against the outflowing water. Making even more waves. We weren’t in any real danger, it was just a typical SF day. After getting pounded for a while, we turned back….and got pounded some more. At that point the tide was flowing directly opposite our desired direction at over 6 knots. We put the hammer down and burned some diesel to get back. That night Heather and I stayed on the boat. It was a 35 foot Ranger Tug. The same make and model I was considering for purchase. This was my first night aboard a boat in a marina. The water is cold and so was the boat. Fortunately the stateroom was very small and we had an electric space heater which was just enough to keep us warm. The boat didn’t rock too much, but the constant noise from loose equipment clanging takes some getting used to. I learned that loose cable stays and the clanging are a big marina faux pas. Boaters have been reported to take matters into their own hands if owners won’t stop the clanging. To make a long story short, the boating class and the overnight charter was all I needed to realize my Great Loop adventure was probably not the adventure I was seeking. The realities of living aboard a boat were just too much for me. Boaters have no real transportation from the marina. They have to worry about navigation hazards a lot worse than potholes. Waking up at night – especially in a storm – to make sure an anchor hadn’t pulled out did not sound like fun. Trying to navigate in a fog bank through commercial shipping lanes didn’t sound like fun. Beaching at low tide or on a shifting river sandbar didn’t sound like fun. And the cramped quarters of a boat became all too real. Boats are lot more compact than RVs, I thought to myself. The light bulb went off for me – an RV would give us all the same access to travel and see cool places, with far less of the drawbacks. So the boating class was great, and also a good reminder that some research goes a long way when making a major life change. You are probably wondering why I am rambling on about this in my RV blog? The answer is because I was reminded of our choice in the last big storm. We battened down our hatches in the rv and watched the storm roll through. By which I mean we lowered our Winegard satellite dish, roughing it with only DVR movies. We were warm and dry and in no danger of anything. 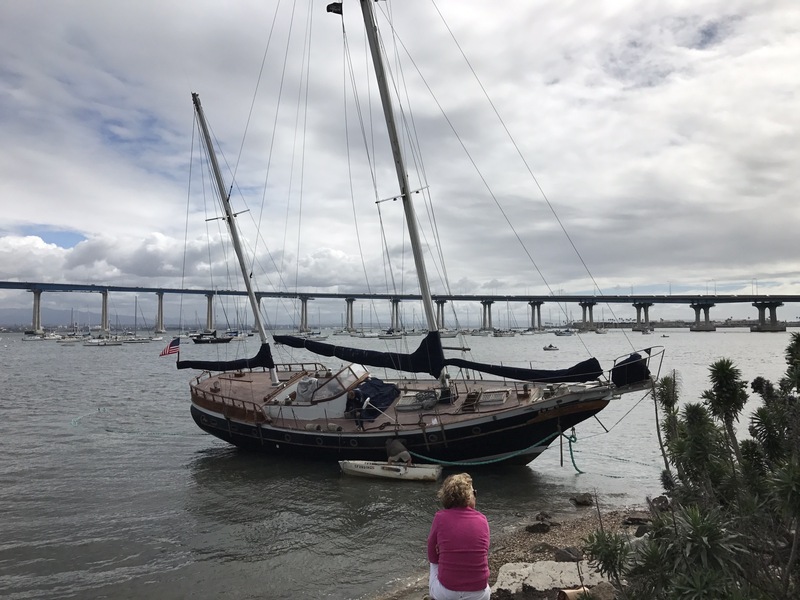 The next day, we walked along the path on Coronado and saw the wind had beached a very nice sailboat that was anchored to a mooring ball. The Sea Tow people were attaching a tow rope around the boat and preparing to pull it back into deeper water. We watched for over an hour as the tow boat struggled to pull the sailboat free. After an hour, we left. But that boat didn’t. It was still stuck firmly, having not budged one inch. While we waited, we spoke to a woman who said her boat broke free during the same storm. It seems her lines to the mooring ball held, but the mooring ball anchor to the seafloor actually broke free. Her boat slammed into another boat before beaching itself. I realized that boaters and RV’ers have a similar appetite for adventure and wanderlust. Kindred sprits in many ways. But watching the recovery and listening to this story made me even more pleased we chose to live MoHo!